At the very heart of the Harbour City, you will find the old port that today is Downtown Nanaimo. Take a walk along the sea wall, which extends all along the harbour of the Old Cityalong to Departure Bay, and South towards South Nanaimo. 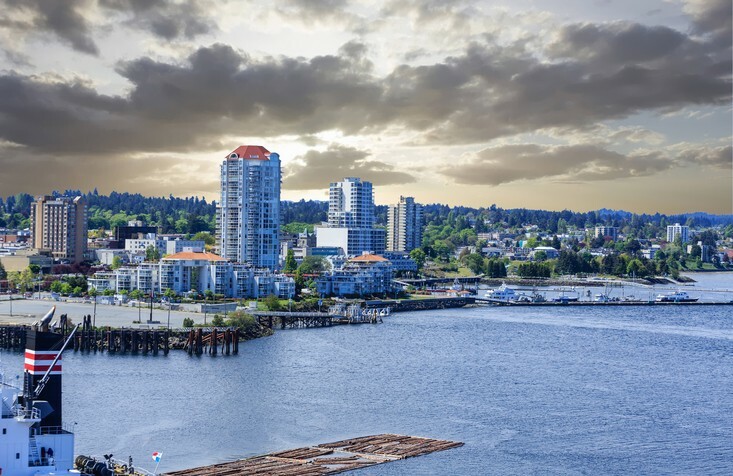 With Cafes, resturants, local shops and eateries, Downtown Nanaimo is charming, and growing once again in terms of development with new condo towers going in, along with two new hotel projects. Don't forget to take the ferry over to Newcastle or Protection Island and explore these small islands- if you're looking for a local favourite, stop in at the Dinghy Dock Pub, Canada's only floating Pub! Chapel Street, has two new developments going up which will be multi story condo towers - bringing more urban dwellings for those who love to be right downtown in the heart of the Action new homes. 91 Chapel street in the Old City offers 61 units with 6 floors. Nextdoor to that, a new tower is in the planning stages and is expected to feature 20-25 floors with the possibility of a grocery store and other commercial spaces on the street level. We have found a total of 61 listings, but only 43 are available for public display. To get instant access to all 61 listings, please Sign up here.